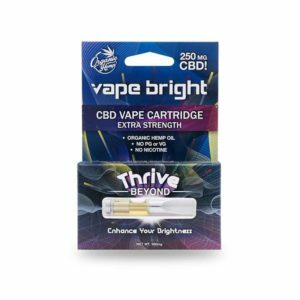 We invite you to go beyond with Vape Bright’s potent formula, designed to push the limits of how much CBD can be in a single cartridge. Every Beyond cartridge contains over 250 mg of great-tasting pure CBD oil and no PG/VG. The Beyond cartridge is the easiest way to get the most CBD dosage into your body. Each serving of Beyond gives you 10 mg of CBD offering more than 15 times the amount of CBD in each cartridge than others offer.